LEAD Kakatiya brings a unique life time chance to be a part of the memorable journey called "LEAD Prayana" an Entrepreneurial Leadership Journey on Wheels! It's an annual leadership journey for youth aged of 18-26 hosted in cities of (Telangana, Andhra Pradesh and Karnataka) Hyderabad, Warangal, Siddipet, Siricilla, Nizamabad, Kuppam and Hubballi. Join us for a memorable 3000 km journey for lifetime. For 14 fun-filled days, you will meet and hear from 10 inspiring role models, see their extraordinary work, visit 8 destinations, take part in panel sessions, explore 12 unique organizations, institutions and industries, and create your own groups to share your hands-on, experiential learning. The journey kicks off from Hyderabad covering all the destinations and ends at Hubballi, Karnataka with renowned International conferences called Development Dialogue, YUVA Summit and Startup Dialogue. Basically, I love traveling and exploring. And I got the opportunity to be part of Prayana. Lead Prayana 2K17 is one such life changing experience. The journey taught me entrepreneur skills and in turn gave me lots of happiness and memories. It is not just a journey of leadership but also a journey of many unexpected moments, journey of friendship and meeting great people. One should definitely attend prayana in their life time. I chose Prayana to the better outer world, Learn to apply things when and where needed, Innovate Aspire and acclimatize things. I recommend it for others to have Joy in learning things, To be one among many with great skill, To bring out the LEADer in you, To know what you can exactly do to yourself and for a better society. Prayana 2017 is my first step in LEAD where I've experienced culture exchange because of different people coming from various locations of India where we can share our thoughts, ideology and everything. Every word that we heard from role models shown some impact in my life and I can say that I've found myself new after returning from prayana and I am sure that we cannot go through such big MNC companies and industries without LEAD Prayana. It is a very good experience and I hope each and every student should attend the prayana at least once in their life time .This journey made me explore who I am and what I should do in my life to achieve my dreams .Through this journey I got many new friends and I developed my network and obviously learned and experienced how a leader should be and my knowledge even. Deshpande Foundation is giving a good opportunity for every person to explore what they are. I am glad to have such a good experience and memories with 2017 team. Lead prayana a journey which changed my life, my thinking .It was a great leadership experience for me. The way I learnt the new things is completely different from regular. It helped me to build a new network of friends from different places. Prayana changed the way how we look the society. Now I strongly believe that even a single step we take can change our life completely. LEAD Prayana was not only learning, it is about experiencing new things also. In Prayana we get to know what we are and what we can do for the society. Interacting with role models is an inspiring one. Visiting ever seen places in our life gives us new enthusiasm to do new things. The prospective of the Prayanees get broader by joining prayana. Raju Reddy is the Founder of Sierra Atlantic, an IT services company headquartered in California, US. Under Raju’s leadership, Sierra Atlantic grew to be a best-in-class global services company and was consistently ranked amongst the best-managed companies. Raju is active in the community and serves in leadership roles in various non-profits, such as co-founding Deshpande Foundation’s Kakatiya Sandbox. Also, he served as a member of the Board of Trustees for Puente, a Wharton School non-profit program which helps underprivileged communities worldwide gain access to technology. She is the youngest woman to scale Everest. She attended a prestigious mountaineering Institute in Darjeeling for train-ing and went on a training expedition to Indo-China border prior to tackling Everest. Purna was born at Pakala village, Ni-zamabad district of Telangana state of India. She belongs to a tribal family, and her parents are farm laborers. She joined Telangana Social Welfare Residential Educational Institutions Society for her education, where her talent was spotted by the secretary of the Society Dr. R. S. Praveen Kumar. Narayana Murthy is the Founder of Infosys, a global soft-ware consulting company headquartered in Bangalore. 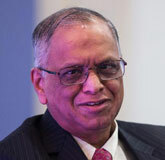 He served as the CEO of Infosys from 1981-2002, the Chairman and Chief Mentor during from 1981-2011, and the Chairman Emeritus from August 2011-May 2013. He is listed as one among the 12 greatest entrepreneurs of our time by Forbes Magazine and was also ranked 13th among CNBC’s Global Business Leaders who have made maximum impact during last 25 years. Through his Infosys Foundation, he supports education, healthcare, and rural development across India. B.V.R. Mohan Reddy is an Indian entrepreneur who has firmly placed India on the global map for leading-edge engineer-ing, and research and development services by establishing Cyient in 1991. Dr. Reddy has served as the Chairman of Na-tional Association of Software & Service Companies in India during 2015-2016. He has served as the Chairman of Co-fed-eration of Indian Industry, Southern Region (2008-2009), and is currently the Co-Chair of its Education Council. Dr. Reddy is also the Founding Director of T-Hub, the largest start-up incubation center in India. Dr. Reddy received India’s fourth highest civilian award the Padma Shri in 2017 for his contri-bution to trade and industry in the country. 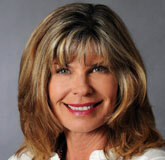 Carrie Morgridge learned the basics of philanthropy while working at the Aspen Valley Foundation, the Aspen Institute, and the Aspen Santa Fe Ballet. Carrie and her husband found-ed the non-profit Morgridge Family Foundation in 2008. The foundation contributes to 185 projects per year, a few of them are what Morgridge calls “mega-gifts”. A major project the foundation has sponsored is “Share Fair Nation” which trains teachers to use new classroom technologies. Morgridge has received many awards for her distinguished services including the National Jewish Health Arthur B. Lorber Award for Distin-guished Service (the institution’s highest honor). R. S. Hiremath’s top innovation was launched by the President of India in 2007. It is the ‘e-Charka’, a spinning wheel that not only spins cotton but also electricity. Using the 2-spin-dle e-Charkha for 2 hours will produce 2400 metres. R. S. Hiremath has won National Award for Best Innovation for six years. A few of his innovations include talking tactile maps for the blind, solar power packs for rural health centres, solar cell phone charging station for rural areas, high effi-ciency water heaters for rural food processing industries, solar powered plant growth lights and many more. Prathap is a scientist and recognised by the Government of India. He is also a Member of Japan Young Scientists Asso-ciation and Member of Global Young Scientists Forum. He received the Albert Einstein Innovation Gold Medal in Inter-national Drone Expo 2018 at Hanover, Germany. He was also the gold medallist in International Robotic Exhibition held at Tokyo, Japan in 2017. Some of his major projects include telegraphy in border security, cryptography in drone making system, drones in traffic management, drones for national defense, UAVs in rescuing humans, and auto piloted drones. Ajay has always had a deep interest making a difference in society. After earning his master’s in social work and MPhil in Social Work from the University of Lucknow, he worked with the NGO Sahayog Society where he coordinated gender awareness programs for college youth and men throughout Uttar Pradesh. One such program he initiated is LEAD Praya-na, a 14-day leadership journey across Karnataka that helps college-aged youth unleash their leadership potential. Ajay plays an important role in the Deshpande Foundation’s oth-er programs. Ajay is appointed as the Director of the Desh-pande Foundation in 2018. Shravya started her career with Schlumberger and has worked in Operations and Business Development roles in Africa, North America, and Asia. Currently, she is working with Presidency School to create a paradigm shift in the way teachers, parents perceive learning and education. She is a strong believer in social emotional learning. She has a Master in biology and Bachelor in Electronics & Instrumentation Engineering from BITS Pilani. Bala Theresa Singareddy was born in Reddipalem, a village in the state of Telangana in India. During her youth, she studied in India, in the United States and in the Philippines began to raise awareness amongst their friends and neighbors about the living conditions of people in India. These discussions led to the formation of a small group, “Partage Reddipalem”, dedicated to sponsoring the education of poor children in In-dia. In 1977, SOPAR was founded. Angele devoted her time to creating a new organization – Bala Vikasa – aimed at en-suring the effective implementation of SOPAR’s programs in India. In 1991, Bala Vikasa became a registered NGO with the Indian government. Since then, the two sister organizations have pursued a common objective: to support the develop-ment process of rural Indian communities. Manasi is a keen business person, who believes in innova-tion, affirmative action, and diversity in perspective. She graduated in Fine Arts from the world-famous Rhode Is-land School of Design, Boston, USA. Manasi is the Executive Director and CEO of Kirloskar Systems Ltd. and Managing Trustee and CEO of ‘Caring with Colors’. She has recently been appointed as the first United Nations in India Young Business Champion for the SDG’s (Sustainable Development Goal’s). In addition, she will focus on the role of business in development and work with the UN on issues such as cli-mate change, use of plastic and women empowerment. Sunil Reddy, The Proprietor and Managing director of the Present Orange group of units, is the founder of Radio and Thirumala cabs, the leading corporate car rentals; Incepted in the year of 2000 in Hyderabad .Orange group comprises Thirumala cabs, orange Tours & Travels, Orange cargo car-riers and Orange Road Lines. Excellence in Passenger Safety Measures Award in Private Sector PAN India from India Bus Awards Organization (A combine of Ashok-Leyland & Abhi bus) - July 2018 at Malaysia Kuala Lumpur. Priyatham has close to 10 years of experience in corporate finance and investment banking. He leads the business di-versification initiatives of the company while handling the finance and international marketing divisions of the firm. 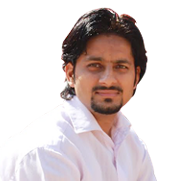 He is an MBA from IIM Lucknow, India and a graduate from BITS, Pilani, India. Dil Raju is a National Award-winning Indian film producer and distributor, known for his works exclusively in Telugu cinema; He owns the production house Sri Venkateswara Creations. He was born in the Nizamabad district, a village name called Narsingapalli. In 2016, he received the Andhra Pradesh state NagiReddy-Chakrapani National Award for his contributions to popular cinema. He produces his films along with his two partners, cousin Sireesh and friend Laksh-man, under Sri Venkateswara Creations. He has produced successful films such as Dil Arya. Under his leadership, Narsingapalli has become a model vil-lage. To achieve this, he established “Ma Palle Charita¬ble Trust” in 2007. He started a water scheme with the contribu-tion of villagers to supply pure drinking water to each house-hold. Later, he also started a project of ‘Oxy¬gen Donation’ where each household of the village plants 4 to 5 saplings ev-ery year and takes care of them. He is man behind ‘Save De-mocracy’ and other development projects of Narsingapalli. Naveen Nagappa pursued his childhood dream by joining the Indian Army. He courageously volunteered to partici-pate in the Kargil war. At times, he endured more than sixty hours without food or water in the cold. During the war, he took initiative to attack on a bunker occupied by the enemy. This caused him to become severely injured by a grenade that injured both of his legs. Since then, he suffers from par-tial paralysis in the left leg and a shortening of his right leg. After 21 months of hospitalization and 8 surgeries he was declared medically unfit to serve in army and removed from army. For his bravery shown during the Kargil war, Naveen Nagappa he was awarded Sena Medal (Gallantry). Ramancharla Pradeep Kumar worked in L&T-ECC from 1997-1998 and went to Tokyo, Japan for pursuing Ph.D. He joined IIIT Hyderabad in 2002 and started at the Earthquake En-gineering Research Centre. He also initiatied the graduate program on Computer Aided Structural Engineering at IIIT Hyderabad in 2002 and a 5-year dual degree program in building science & engineering in 2013. In addition, Raman-charla has keen interest in research on humanities and hu-man values. Rajeev Sangal is the Director of the Indian Institute of Tech-nology (BHU), Varanasi. He holds a BTech in Electrical Engi-neering from IIT Kanpur, and MS and PhD in Computer and Information Science from the University of Pennsylvania. He is the founder-head of Language Technologies Research Centre, at IIIT-H the largest academic centre for computa-tional linguistics (CL) research in this region of the world. He along with Dr Vineet Chaitanya has developed Computation-al Paninian Grammar framework which is linguistically ele-gant and computationally efficient.He designed and helped make human values course a regular part of the academic curriculum at IIIT-H in 2005. The course has spread to several large universities in India, where it has been adopted, and has started running in 2000 colleges. Several thousands of teachers have been trained as a part of the training program on Human Values. He is the co-author of a book on Human Values which is being used widely.